I’ve written a number of blog posts regarding folded cards in poker, Show Folded Cards – Great feature implemented differently and Full Tilt improves their Folded Card feature. Last night when I played on Bet24.com I was surprised not being able to see the folded cards. I looked everywhere but I haven’t been able to see if it is possible to see your folded cards. 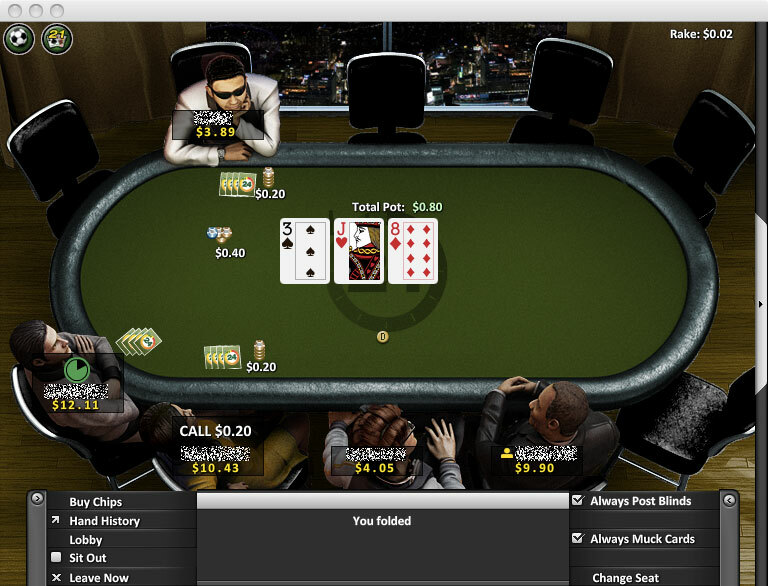 So today’s redesign is a simple one adding “Show Folded Cards” functionality to OnGame Network’s poker client. Today your cards disappear when you fold and you see the text “You folded” in the middle of the client. There is a lot of free space there, so why not use it to show the folded cards? In my redesign I’ve just added the folded cards under the text “You folded!”. Simple but I believe it adds value for the player. And it shouldn’t be too difficult to implement either.